← Backstage pass to the new regional rail hub! Last weekend I had a visit from friend and colleague Amanda Eaken of NRDC. It was marvelous to explore Torino with a friend, especially one as outgoing and inquisitive as Amanda. We found ourselves in some fascinating conversations about Torino and, as often happens when talking about Torino, we found ourselves talking about FIAT. Amanda had been practicing her Italian during the flight from San Francisco, and she arrived ready to parlare. At a bar in the hip Quadrilatero Romano area, Amanda engaged the bartender Raffaela in a lengthy conversation about municipal politics in Torino. At a restaurant called Freevolo, she befriended Marco and we learned about the city’s bike culture including Massa Critica Torino (aka Critical Mass Turin). When she went out to buy a notebook, Amanda came back with an itinerary for a bike tour. 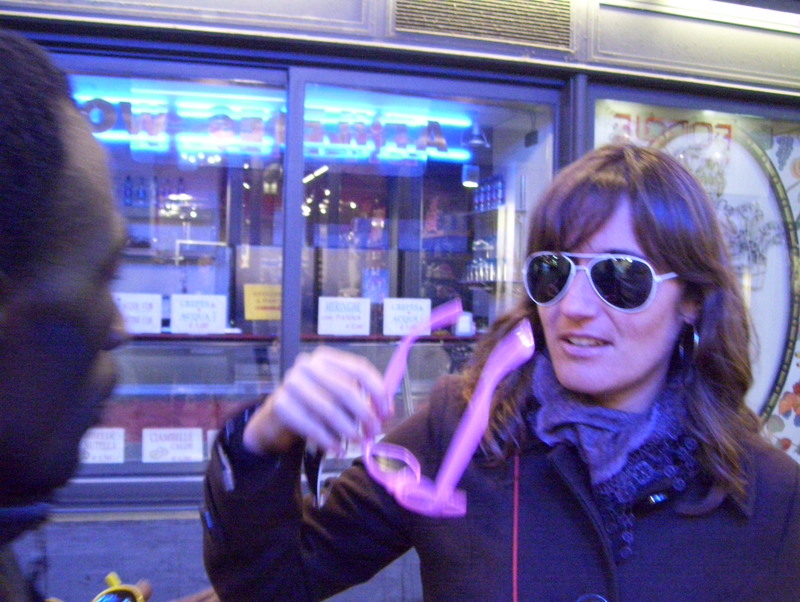 Teasing aside, Amanda helped me get out of my shell and start talking to ordinary Italians. My grasp of the language improved dramatically while she was here, and I learned a lot about how ordinary Torinese feel about their city and the changes that are taking place. A particular gem emerged from a conversation with a young worker for Amnesty International. On Sunday afternoon he was standing in busy Piazza Castello, talking to passersby and trying to get them to sign up as members. We began to chat and he shared a fascinating conspiracy theory about why Torino has historically lacked effective transit. According to our young conspiracist, the powerful family behind FIAT, the Agnellis, wanted to make sure Torinese bought their cars, so they stopped the city from investing in subways or trains. I ran this theory by a few of the planners and transportation experts I’ve met. While no one can confirm it, everyone thinks it is probably true. I’ve been reading about the history of FIAT and Torino, and I am nothing short of astonished by the power and influence that FIAT and the Agnellis wielded in this city for most of the 20th century. 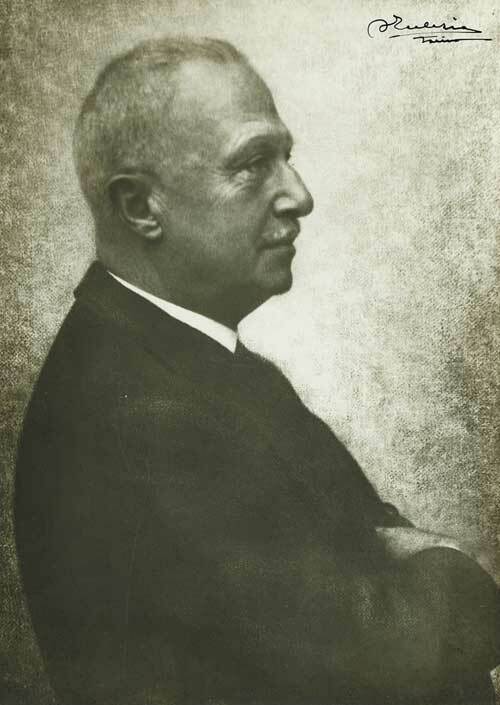 FIAT founder Giovanni Agnelli oversaw an industrial manufacturing empire based in Torino that, at its peak, produced 95% of the cars in Italy. During the Fascist era he was close to Mussolini and became so powerful he overshadowed the municipal authorities. FIAT had special permission from il Duce to suspend labor laws at their plants in Torino – and they did. When dissent emerged Agnelli simply bought the major newspaper La Stampa so that he had near total control over civic discourse. So Agnelli was both tyrant and savior of Torino, and that love-hate relationship continued right through the post-war economic boom, or “il boom” as its known here. FIAT was the main economic engine behind il boom, and it relied on a steady stream of workers from impoverished southern Italy to work in its factories. This led to rapid population growth in Torino, but the weak municipal government did nothing to regulate new housing and infrastructure, so it was an urban planning free-for-all. New arrivals were crammed into substandard housing that surrounded the factories on the periphery of the city. Infrastructure was not expanded fast enough to meet growing demand. Little was done to address the chronic housing, health, education and transport problems in these areas, and tensions between Torinese and recent immigrants grew. Eventually, these simmering problems exploded into massive strikes, protests and the violent anti-industrial terrorism of the Red Brigades in the 1970s. These forces, combined with a global oil crisis and the dismantling of trade barriers in Europe, sent FIAT into a long, slow decline that eventually brought the mighty company to its knees. (For an excellent history of Torino and FIAT, check out this paper by Astrid Winkler at the London School of Economics). 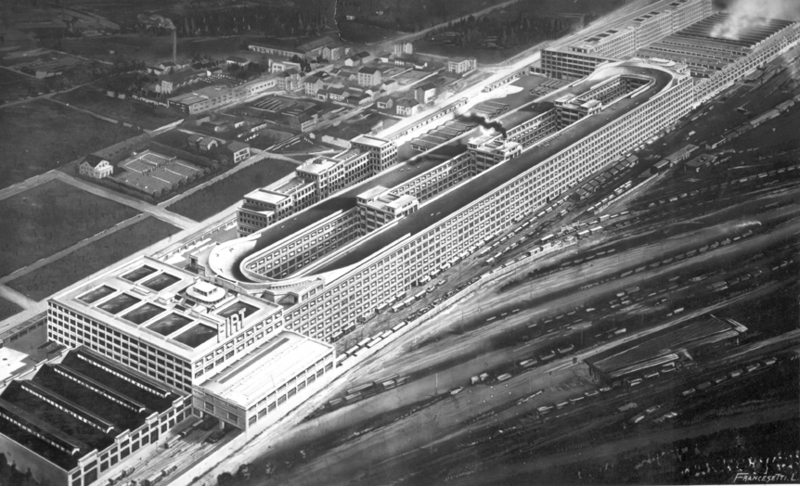 Today, the FIAT factory known as the “Lingotto” (translation: ingot) – once the first assembly-line plant in Europe – is now a shopping mall, convention center, and concert hall. When Torino hosted the Winter Olympics in 2006, many of the events occurred in and around the Lingotto. FIAT’s fortunes began to recover in the last five years, as they embarked on a new strategy of partnering with local auto manufacturers in Russia, China and India. In a final and marvelous stroke of irony, FIAT played the role of savior once more, this time to American taxpayers, when it bailed out Detroit auto manufacturer Chrysler in 2009. 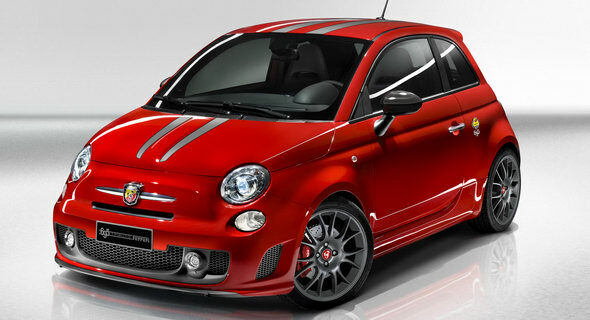 Coming soon to a Chrysler dealer near you: the Fiat 500. Interesting story about FIAT and the historic photo of the plant is very cool. Also, thanks for the tourist picture of you and Amanda. Wow – the FIAT story reminds of Who Framed Roger Rabbit! And gotta say that I love Amanda’s sunglasses. Glad you’re learning all this amazing stuff AND having fun out there!